If you have received a two-year conditional permanent resident card, based on your marriage to a United States citizen, you are required to remove the conditions on your green card before the expiration date, by filing the Form I-751 Application for Removal of Conditions jointly with your spouse. 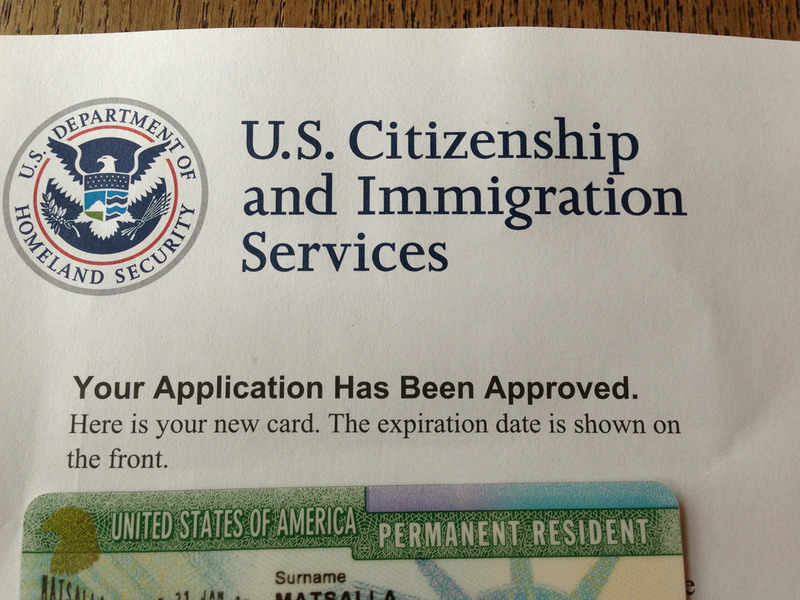 Many clients often ask, “how do I know if I am a conditional permanent resident?” You will know if you are a conditional permanent resident if your green card contains the abbreviations ‘CR’ under the immigrant ‘category.’ Foreign spouses of US Citizens will be able to locate the abbreviation ‘CR 6’ on their green cards. If this abbreviation applies to you, you must file the I-751 removal of conditions application jointly with your spouse, within the 90-day window immediately before your conditional green card expires. For example, if your two-year green card expires on August 7, 2016, the earliest day to file your removal of conditions application would be May 9, 2016 up to the date of expiration. If you are no longer married to the US Citizen spouse through which you gained conditional permanent residence, you may seek a waiver of the joint filing requirement and file the application alone. USCIS must receive your properly completed removal of conditions application along with the filing fee, during this 90-day window, otherwise your application will be rejected if you do not have a legitimate reason for filing your application outside the deadline. If you are unsure of the time period in which you must file your I-751 application, you should consult with a licensed immigration attorney early on in the process. If you have decided to file the I-751 application on your own, without the assistance of an attorney, you must read the I-751 Form Instructions VERY CAREFULLY and contact the USCIS National Customer Service Line with questions. Why do I need to file the removal of conditions application? USCIS grants two-year conditional green cards to foreign spouses of U.S. Citizens, if the foreign spouse has been married to the US Citizen spouse for less than two years (on the date that they are granted permanent residence). Foreign spouses who have been married to their US Citizen spouse for more than two years (on the date they are granted permanent residence), receive permanent ten-year green cards. Permanent residents, as opposed to conditional permanent residents, do not need to file the I-751 removal of conditions application, because they already have been granted the ten-year green card. Clients typically ask us; why must I file the removal of conditions application if I have already gone through the rigorous green card process with my spouse? Once your I-751 Removal of Conditionals application is properly filed with USCIS, you will receive a receipt notice in the mail typically within 2-3 weeks of the date of receipt. This receipt notice is very important, because it will extend your stay in the United States for a one-year period while your I-751 application is pending with USCIS. Approximately 1-2 weeks after you receive this receipt notice in the mail, you will receive a biometrics appointment scheduling you for fingerprints. If you move while your application is pending with USCIS, you must submit a change of address online. If you are no longer married to the US Citizen spouse through which you gained conditional permanent resident status, the burden of proving that you entered the marriage in good faith is much higher. These types of applications are called ‘I-751 Waivers’ because you must request a waiver of the joint-filing requirement in your application. Immigration officers scrutinize I-751 waiver applications much more than applications that are filed jointly with your spouse. This does not mean that your application will not be approved, it simply means that you must prepare a strong application with plenty of documents proving that, even though your marriage has ended, you entered your marriage in good faith. If the immigration officer is not satisfied with the documentation provided in support of your application to establish good faith marriage, or if you are claiming that you were battered or abused during the marriage, you will most likely be scheduled for an interview. Providing a very well thought out and strong application may prevent you from receiving an interview notice from USCIS. On average, the typical processing time for waiver applications ranges from six months all the way up to one year, depending on the complexity of the case. For regular I-751 applications filed with US Citizen spouses, the processing time ranges from six to seven months. PREPARE EARLY ON: The number one key to filing a successful I-751 application is to prepare early on, regardless of whether you will be filing the application with your spouse or alone. The moment you receive your conditional green card, you should read about the process on the USCIS website, understand the requirements, understand what documents you must provide in support of your application, and speak with a licensed attorney if you have any questions or concerns about the process. KEEP A BIN HANDY: The I-751 process is a very invasive and document intensive process. You will be required to gather many documents including financial records, joint federal income tax years for the past 2 years, utility bills since the date you became a permanent resident, joint insurance policies, joint installment loans, joint medical bills, joint lease agreements since the date you became a permanent resident, original divorce judgments (final decrees), birth certificates, photographs of you and your spouse throughout your relationship, and any other evidence proving that you have a bona fide marriage such as hotel/flight reservations. To keep you organized, you should designate a storage bin (or two) where you will keep these documents handy in one specific area that you can always refer to. Any time you receive a joint utility bill in the mail or any other important document proving that you are living with your spouse (such as mail correspondence), you should make it a point to drop these documents into the storage bin on a regular basis. That way when it comes time to file your application, you will have most of the documents you need in one place. BE PROACTIVE: Get time sensitive documents out of the way first. If you know that it will take you some time to collect your joint tax returns, joint bank account statements, phone records, or final divorce decrees, you should make sure these items are taken care of well in advance. You can designate files on your desktop for each of these items so that they are not only easy to print, but accessible as soon as they are needed. If while you are collecting documents, you realize that you and your spouse do not have as many photographs together as you had thought, or there is any other evidence that is lacking, you should consider asking friends and/or family members to write affidavits for you to attest that you have a bona fide marriage. Get organized early on so that they have plenty of time to write those affidavits for you. REVIEW YOUR EVIDENCE: Once you have gathered all of the evidence in support of your marriage, it is important that you review your evidence carefully. Be aware of the evidence that is strongest and the evidence that is weakest. Where possible, supplement the weak evidence with stronger evidence. The strongest evidence you can provide is evidence that you have been living with your spouse throughout the marriage. You can provide such evidence by obtaining copies of joint lease agreements and providing evidence that you are making monthly rent payments as a couple. You should make every effort to obtain joint lease agreements. In the case that you cannot obtain these records, at the very least you should obtain a signed letter from your former landlord verifying your residency as a couple with detailed information such as dates. Other strong evidence that is typically included in the I-751 application includes joint federal income tax returns, joint financial records, joint insurances, photographs throughout the relationship, etc. If you notice that you are lacking important evidence, especially in cases where you will be filing a waiver, consult with an attorney to see how you can improve your application. For more information about the I-751 application including a complete checklist of documents required, please visit our website. To schedule a free first time consultation please contact us.